Though it may be more often found in the spotlight, craft beer isn’t the only Michigan-made product that has been gaining popularity in recent years: the demand for hard cider is growing every day. 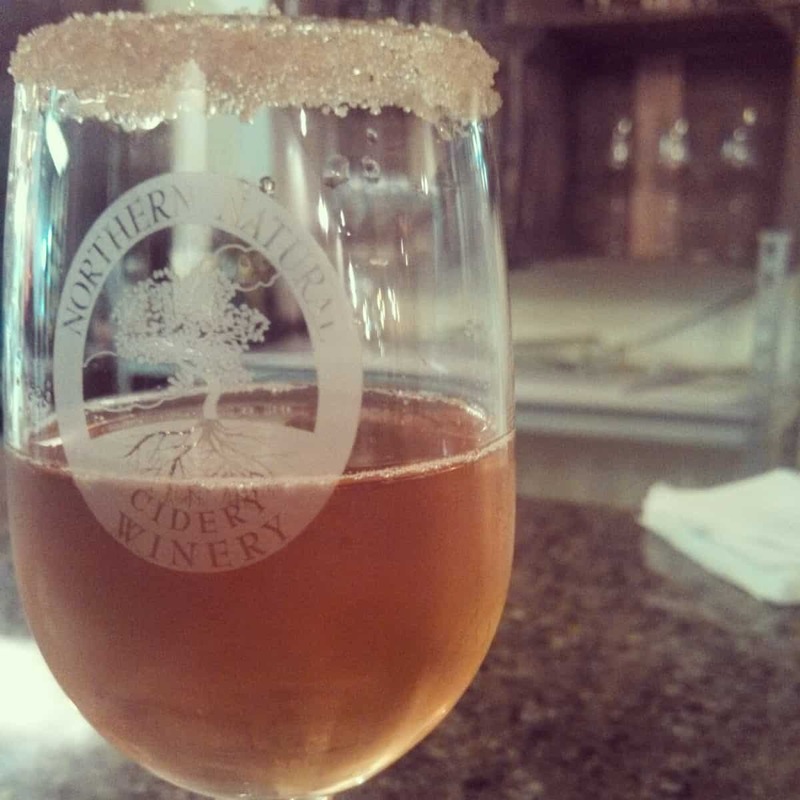 Northern Michiganders certainly have nothing to complain about on the cider front, but now there’s even more reason to rejoice – Northern Natural Organics has opened their own cider house and tasting room in downtown Traverse City! If the name sounds familiar, that’s because Northern Natural isn’t new on the scene. They first opened their tasting room in Benzie county in 2010. While the company’s claim to fame lies in delicious drinkables, the Northern Natural team, headed by CEO and President Dennis Mackey, is focused on the source: organically and sustainably grown fruits right here in Northern Michigan. With more than 15 years of experience in organic and sustainable farming, Mackey and the farmers he works with are devoted to their craft. Everything that goes into Northern Natural’s many varieties of ciders and wines is sourced from farms within our great state-no exceptions. The ciders are made with a blend of heirloom Michigan apples including Red Delicious, Golden Delicious, Jonathan, Northern Spy, and Rome. The wine features grape varieties such as merlot, chambourcin, foch, and concord (which gives their grape dessert wine a unique juicy sweetness). Even the small plates menu has a local focus – featuring Edam, Gouda, and Gallant Cheddar cheeses from Grassfields Cheese in Coopersville and farmers market produce as inspiration and sourcing for rotating daily specials. With five permanent and two rotating taps, cider lovers can look forward to tasting blueberry, lavender, elderberry, cherry, and a number of other flavors of hard cider. If you’re lucky, the peach, my personal favorite, will be on rotation! If apples aren’t your cup of tea, the cider house also features an impressive selection of award winning wines. From chardonnay to port-style blueberry wine and everything in between, there’s something for everyone to enjoy. Not an alcohol drinker? Northern Natural’s cherry concentrate makes a tasty spritzer. Even the atmosphere of the cider house exudes a locally-grown, quality-centric vibe. The tables, benches, and bar area are mostly made from elements that can be seen at the same farms that the fruits themselves came from – apple-wood, crates, and even packing-line parts. Wine bottles and growlers act as shades on all of the hanging lights and, soon, the walls will be decorated with pieces created by local artists. On Wednesdays, guests can watch or participate in Open Mic night featuring Traverse City’s own E-Minor, and Thursday nights feature performances by local musician Jimmy Olson. Tasting room manager Jennifer Mackey describes the Northern Natural philosophy as “fruit forward and fun” and that’s exactly what visitors will experience upon setting foot inside the cider house. It’s clear that this philosophy applies to more than just the products being served here – for the Mackey family, it describes a way of life. Northern Naturals Cider House, located at 324 E. Front St. in Traverse City, is open Monday-Thursday 11am-9pm, Friday and Saturday 11am-11pm, and Sunday 12pm-8pm. Like them on Facebook and follow them on Twitter.